PANAMA CITY, Jul 1 2015 (IPS) - Nicholas Suchecki Guillén is blind. 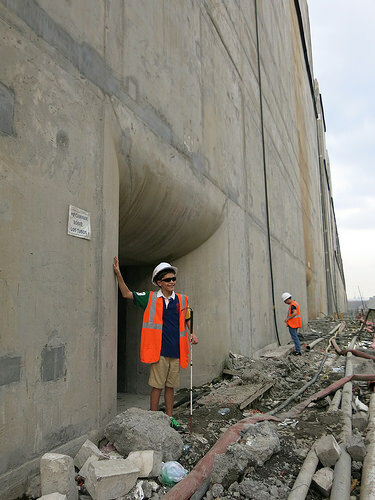 His dream was to visit the Panama Canal expansion works, touch the cement structures, and feel part of this new period of history in his country. The 11-year-old stood on the third set of locks in Cocolí, near the Pacific Ocean. He had the privilege of forming part of the last group allowed to visit the complex before the flooding started – a long process that on this side began on Jun. 22. Like Nicholas, many Panamanians visited the new locks free of charge on tours promoted by the Panama Canal Authority (ACP), the agency that has run the canal since it was handed back to this country by the United States in 1999. The expansion also represents a promise of economic growth. “The canal’s contributions to the state coffers amounted to more than nine billion dollars between 2000 and 2014. With the new locks, they could climb to three billion dollars a year,” Ferreira said. The work, which began on Sept. 3, 2007, is 90 percent complete and has involved an investment of 5.25 billion dollars. The canal should be up and running in the first quarter of 2016. With this megaproject, Panama hopes to increase daily ship traffic from 35- 40 to 48-51. The canal will also be able to accommodate larger vessels. Currently, it can only handle ships with a cargo capacity of up to 5,000 tons, but once the expansion is complete New Panamax vessels with a capacity of up to 13,000 tons will be able to go through the canal. The new lock chambers will be 427 metres long and 55 metres wide, and will operate with 16 rolling gates. New York’s Empire State Building, antenna included, would easily fit in the new locks lying down. For each ship going through the canal, approximately 197 million liters of fresh water are now used from Lake Gatún. But with the new locks, the system will use at least seven percent less, thanks to shallow basins attached to each chamber, which will reuse the water three times before it is dumped into the sea. But according to critics, it’s not all good news. University of Panama Professor Marco Gandásegui said the revenues from the canal have not been used to boost socially inclusive development in this Central American country of 3.8 million, and he worries that the same thing will happen with the income from the expanded canal. “There is a great deal of concern that the expansion of the canal will serve the global merchant marine rather than the people of Panama,” the sociologist told IPS. As an example of the lack of development, Gandásegui pointed out only 40 percent of Panama’s workforce is formally employed, while 60 percent works in the informal sector of the economy. “Our social structure could be changed, using the enormous wealth generated by the canal,” he said. 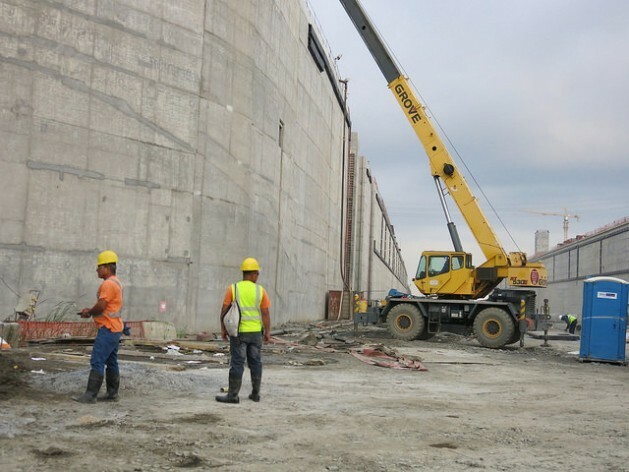 The biggest setback during the construction occurred in February 2014, when the contractor, Grupo Unidos por el Canal (GUPC), brought work to a halt for 15 days to protest the ACP’s refusal to bear cost overruns. According to ACP figures, the cost overruns reported by the GUPC, which is led by the Spanish construction company Sacyr Vallehermoso, total 2.3 billion dollars. A special commission was set up to resolve the matter. The first of the demands taken care of was a 463 million dollar cost overrun which was due to the lower than expected quality of the basalt supplied by a local mine. The ACP reported that it only recognised 233 million dollars of that amount. 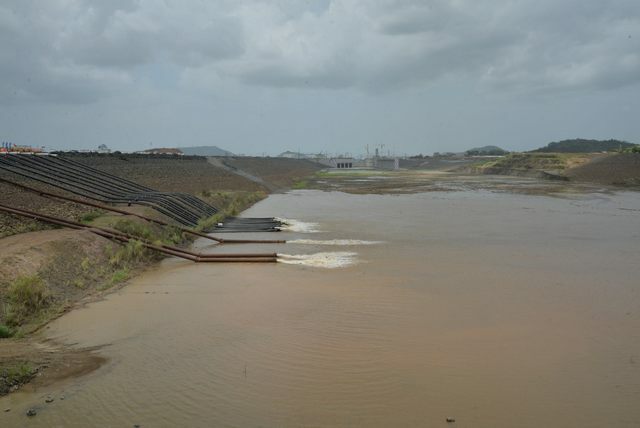 Stanley Heckadon said the environmental impact of the Nicaraguan canal would be “monumental” and the future of the country’s population would be threatened by the giant project. The Miami workshop on the Nicaragua canal was also attended by representatives of the Chinese consortium Hong Kong Nicaragua Development (HKND), which won the concession to build the canal, and of the company responsible for the environmental impact study, Environmental Resources Management. But the other participants found the information provided by the two companies to be insufficient. The experts complained that the environmental impact study took only one and a half years to conduct. They also criticised how brief the observations on the environment were, and the insufficient plans for cleaning up and restoring affected river basins. The anthropologist pointed out that the canal in Nicaragua will run through five protected biodiversity-rich areas in the Meso-American Biological Corridor. “Besides that, there is no information on indigenous minorities and black communities….We came out of the workshop very concerned, with more doubts than answers,” he said. Another shadow that hangs over the expansion project is the plan for the construction of an interoceanic canal in Nicaragua, which will change the game for Panama. Nicaragua and Panama have a shared history with respect to the canal. In his book “The Path Between the Seas: The Creation of the Panama Canal, 1870-1914”, David McCullough says the first study for construction of a canal, in 1811, designated Nicaragua as the route posing the fewest difficulties. Initially, he said, the proposal was for the entrance of the canal to be at the mouth of the San Juan River because, although the overland crossing at Panama was shorter, Nicaragua was closer to the United States. But technical studies found that Panama was the ideal spot for a canal. The French dug a channel, but the project failed. In 1903, U.S. President Theodore Roosevelt decided to build the Panama Canal, and with that aim backed Panama’s separation from Colombia. Construction was completed in 1914 and the canal remained under U.S. control until the end of 1999, as established by the Torrijos-Carter treaties in 1977. “My opinion is that people in Nicaragua believe their country’s development was stunted when the United States chose the Chagres River in Panama, to build the canal. It’s the shadow of an unrealised dream,” anthropologist Stanley Heckadon told IPS. But since 1811 things have changed. And the San Juan route was ruled out, possibly due to the political implications, as it is a river shared by Nicaragua and Costa Rica. In March, the anthropologist and 15 other experts took part in a two-day workshop at Florida International University in Miami, which assessed the environmental impact of the projected canal in Nicaragua and issued a warning about irreparable damage to the country’s biodiversity and bodies of water. Participants in the workshop, he said, believed the wrong route was selected – the one that uses the Punta Gorda River, which is much longer than the San Juan River. The projected investment is 50 billion dollars – 10 times the cost of the expansion of the Panama Canal. Nicaragua’s canal would be significantly longer than Panama’s. “Panama’s is 80 km long. The one Nicaragua hopes to have will be 280 km. In Panama it takes a boat 10 to 12 hours to travel between the Pacific and Atlantic Oceans, and in Nicaragua it will take two to three days,” said the ACP’s Ferreira. 5000 tons = 5000 Containers.